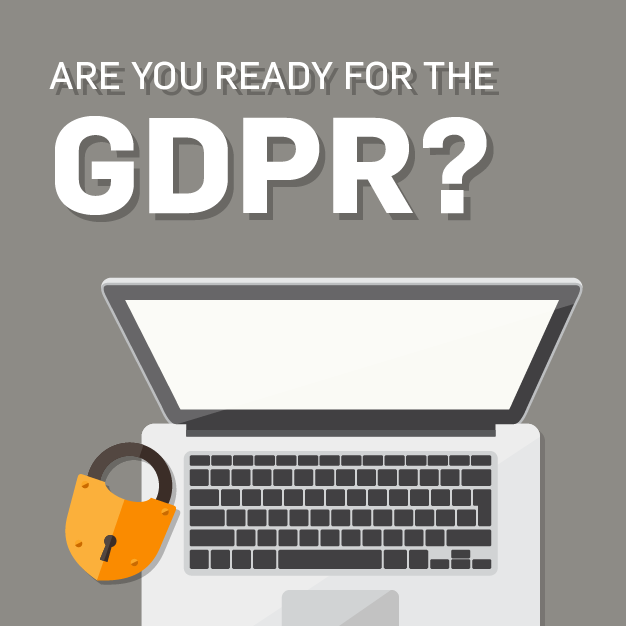 The General Data Protection Regulation (GDPR) not only applies to organizations operating in the European Union (EU), but also to organizations outside the EU that process sensitive data from the EU. 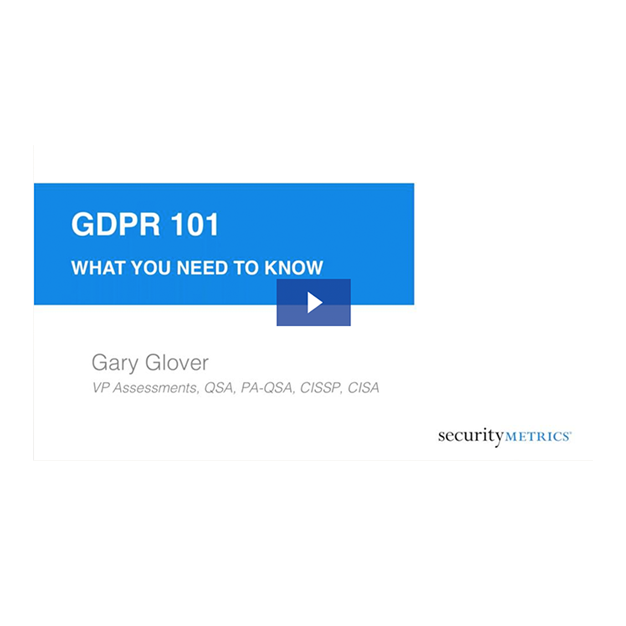 SecurityMetrics GDPR Defense has the tools you need to secure Personally Identifiable Information (PII) and assess your compliance with GDPR requirements. 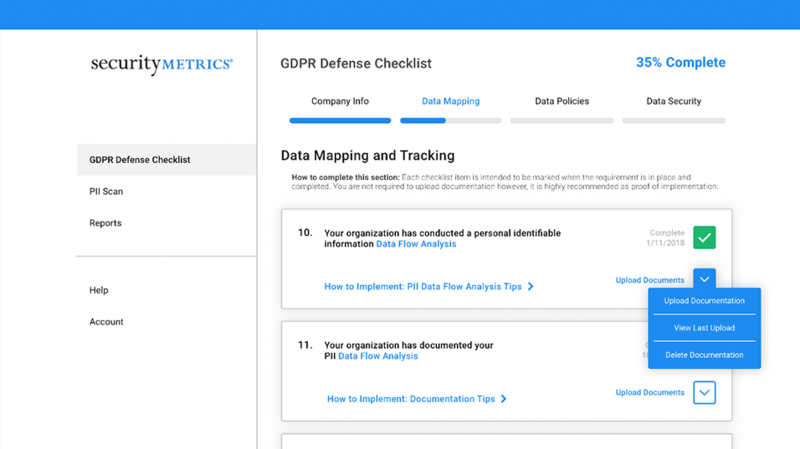 Track your compliance progress simply and quickly with SecurityMetrics’ guided GDPR checklist. 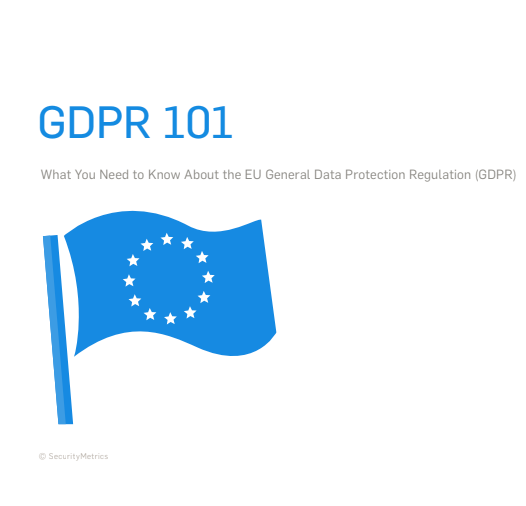 This checklist breaks down important elements of the GDPR into actionable items so you are never left wondering what you need to do next. The checklist monitors your progress in real time and features an organized dashboard for reporting. 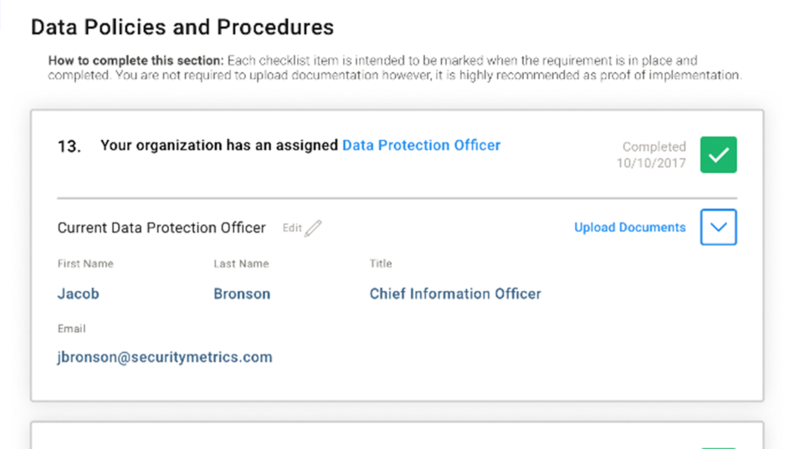 An additional feature of the SecurityMetrics GDPR checklist is the ability to store your policies in a central storage cloud, which makes them easily accessible if you need to provide proof of implementation. Feel at ease knowing that your policies are stored securely in the case of a hard drive crash or data loss. 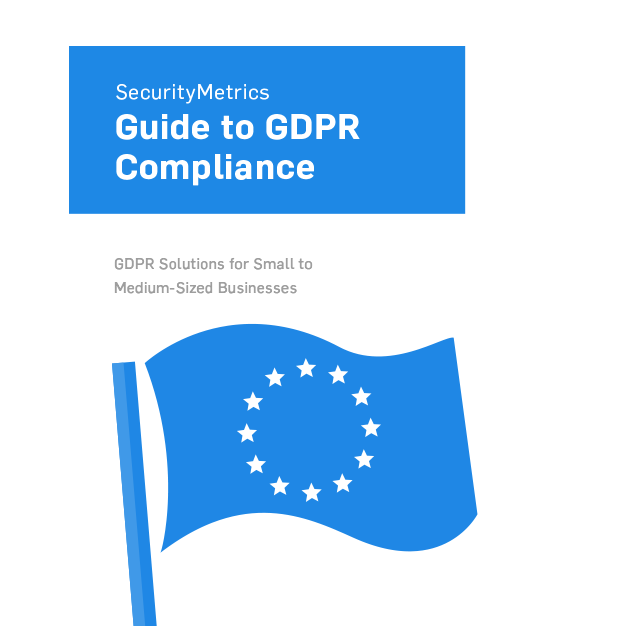 In the event of a data breach, you can use the SecurityMetrics GDPR Implementation Report as proof of your efforts to become compliant. 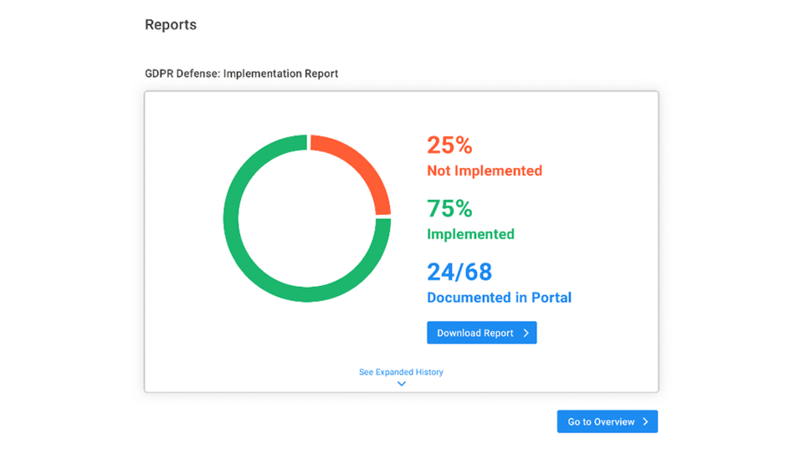 The report is easily accessible from the checklist dashboard and provides a pie graph of your implementation progress, as well as a report of your progress over time. 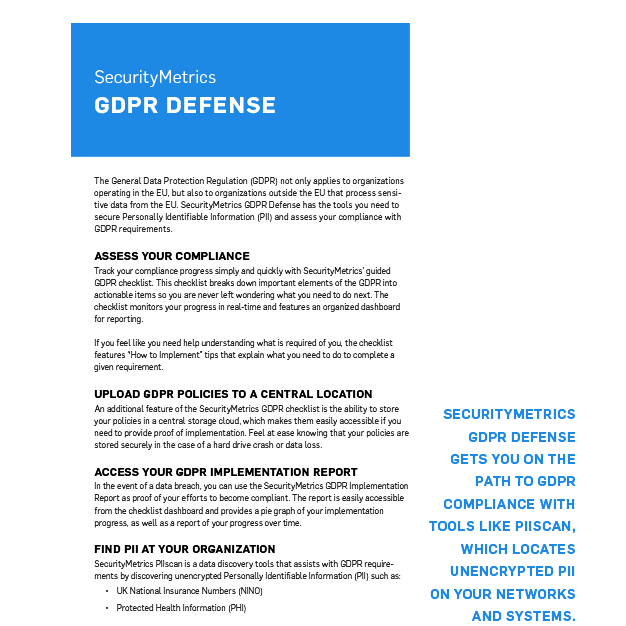 SecurityMetrics PIIscan is a data discovery tools that assists with GDPR requirements by discovering unencrypted Personally Identifiable Information (PII). PIIscan searches computer systems, hard drives, and attached storage devices for unencrypted PII. Once PIIscan has discovered unencrypted PII, a report is generated that displays where the data is located. This makes it easy to securely delete or encrypt this data and reduce your organization’s risk. 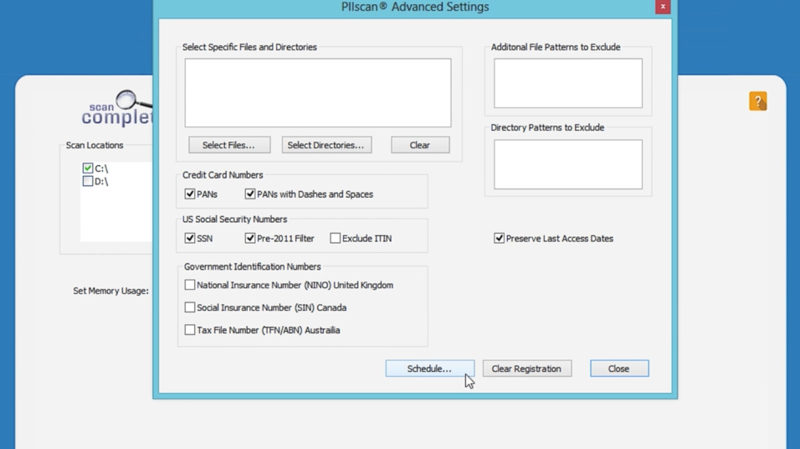 By using PIIscan, you will also save time by not having to manually search for unencrypted PII on your systems. 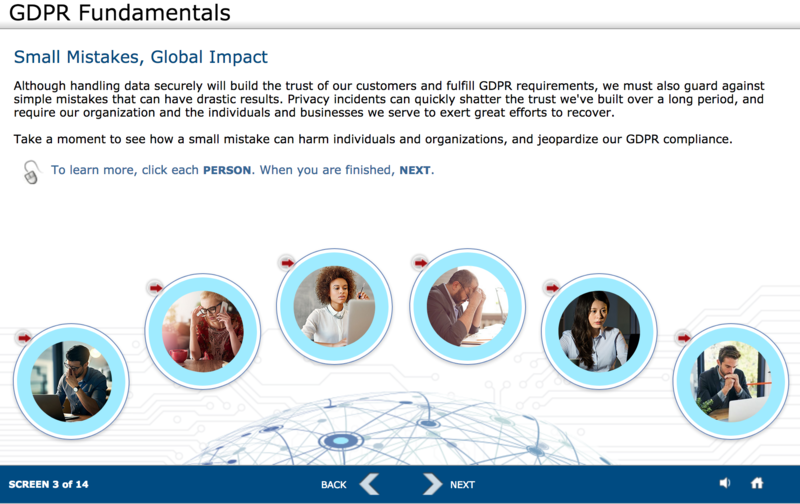 Keep your employees up to speed on GDPR best practices with the GDPR Fundamentals training course, an interactive experience that is both informative and memorable. At the conclusion of the course, there is an assessment to validate learning. Part of the GDPR requires businesses to update and expand their policies and procedures to meet new regulations. Rather than trying to build your own GDPR Policies & Procedures from the ground up, we provide templates that you can easily tailor to fit your business. Our 24/7 award-winning support specialists can help you locate and securely delete or encrypt unencrypted PII. If you would like assistance at any point in your GDPR compliance journey, our award-winning support staff is available 24/7 to provide you with answers your questions. 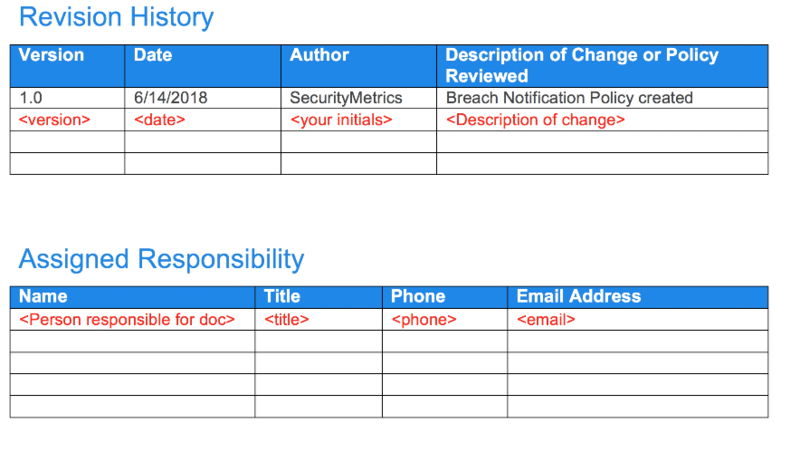 SecurityMetrics representatives can help guide you through the checklist and provide insight as to how to fulfill each requirement. With expertise in GDPR, PCI DSS assessments, HIPAA assessments, forensic incident response, vulnerability scanning, penetration testing, card data discovery, security appliances, PA-DSS security assessments, P2PE assessments, training, and consulting, we hold a myriad of credentials and can help secure your data. (GDPR Defense) was simple and easy and not expensive for my company. With the help of SecurityMetrics we completed it with no hassle. Thank you (for the) technical help. Richard Studt, Director, Pwllheli Amusements Ltd.
We have been customers of SecurityMetrics for about eight years. We are so impressed with the patient and professional way that their staff treats customers.  They do not hurry, seem tired, act annoyed or too busy to work with their customers. Every person I spoke to was great!